To Which Age Group Is Orthodontics Applied? Orthodontic treatment can be performed at any age. Except for those growth-orienting corrections which are necessary for adolescence, all kinds of tooth movements are possible regardless of whether you are 12 or 62 years old as long as you accept to wear braces. When is orthodontics necessary in adults? If your maxilla or submaxilla is positioned too anteriorly or posteriorly so as to cause discomfort for you or if you have a constricted or impaired jaw. When Should Children Receıve Orthodontic Treatment? Let us mention that every child should see an orthodontist at least once when they are 7 or 8 years old for ensuring a healthy structure of teeth and jaw. Beauty and health begin in the childhood. If an orthodontist is not consulted with in the childhood, possible impairments in teeth might not be noticed and this can lead to permanent malformation and related adversities. We strongly advise all parents to take their children to an orthodontist at least once. It is not always right to wait for deciduous teeth to be replaced by permanent teeth. In many children, orthodontic problems emerge at an early age. What is the ideal age range for introducing our children to an orthodontist? The ideal period for this is 7 to 8 years of age. Some defects which go unnoticed in these ages might prevent a healthy and beautiful development of the jaw as it begins to take its final shape in this period. Crooked and unbalanced teeth can be treated more easily in these ages. 95% of the growth will be completed until all deciduous teeth are replaced by permanent teeth. Those children who have difficult problems such as an asymmetric jaw structure should certainly see an orthodontist in this period. Treatment becomes gradually more difficult after 8 years of age. In some situations, an early start of orthodontic treatment might be extremely critical. If there is a maladjustment between the maxilla and submaxilla order child, treatment is necessary regardless of whether or not their teeth are aligned well. Orthodontic treatment is essential if posterior teeth are closing transversely, anterior permanent teeth are closing transversely, the maxilla is extremely constricted, baby teeth which prevent permanent teeth have not fallen out, or jaw is constricted due to an early extraction of milk teeth. Preventive orthodontic treatments should be applied in some situations. These situations might include improper swallowing or inhale through the mouth or bad habits such as sucking one’s thumb, pens, and pencils or one’s tongue. Some of these habits might be rooted in the infancy. Preventive treatments should be applied for such situations which lead to orthodontic impairments. There are different colorful alternatives in pediatric orthodontics. Availability of color alternatives depending on the desire of children makes our job easier. Thanks to the increasing number of children who undergo orthodontic treatment, other children now do not consider it weird when they see a friend who wears dental braces. It is pleasing to reach this familiarity level. How Is An Orthodontıc Treatment Performed? Orthodontic treatments are separated into two including removable and fixed orthodontic treatment. In the case of removable treatment, dentures called appliances are made which are intra-orally worn and removed the patients. They are often used in the correction of simple defects. In the fixed orthodontic treatment, on the other hand, fixed metals called braces are glued on teeth which cannot be removed by patients. Such models are connected with each other with special wires. In this way, teeth are moved so as to correct defects. In the Invisalign orthodontic treatment, transparent braces are applied to patients. Applied in different numbers depending on the intensity of crookedness of teeth, these braces are warmed by patients changing them every two or three weeks. 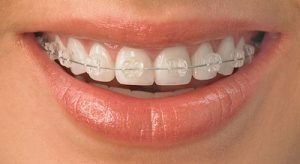 Simple defects can successfully be corrected with these aesthetically looking braces. The metals called braces are glued to the tongue side of teeth in the lingual orthodontic treatment in this way, nothing appears on the front surface of patients’ teeth. Although they are aesthetic, they are expensive and necessitate a longer treatment time.